There seems to be an abundance of luxury shampoos and conditioners appearing on my radar at the moment, and while they all promise fantastic things, it’s only a few that truly deliver. With a price tag that definitely qualifies as an ‘investment’ to most purses, the Bumble & Bumble ColourMinded products are not cheap, but i’ve recently been thinking about how much we spend on makeup, and yet are always so happy to reach for cheap & cheerful haircare products. As you can guess from the name, the ColourMinded shampoo & conditioner work to protect the longevity of coloured hair – reducing fading and colour washout. The products are also Sulfate free. Now I didn’t really know what this meant until I researched it for this post – products without Sulfate are generally much better for your hair. The chemical cleans well but it also strips hair of natural oils which results in drier hair. Without Sulfate, some shampoos can lack ‘lather’ – but not this one, however I did find that I needed more water to create the lather. I get the feeling that this shampoo & conditioner is more of a functional than pampering product. The scent is not overpowering – it’s natural and light as opposed to fruity or floral like some of the other shampoos from B&B. Upon blowdrying my hair I notice the shine and ease of which I can brush through my hair – I only had it coloured two days ago, so anyone who has had their hair coloured blonde will know that brushing alone can be seriously tricky after a colour treatment! My first impressions of the ColourMinded range are really great – I love the idea that it’s not stripping my hair of any of the colour that I’ve just paid a small fortune to achieve, and hope that with the conditioner, the condition of my hair will continue to improve too! I’ll come back to this post in a couple of weeks to comment of whether my colour has lasted since the appointment – so stay tuned! 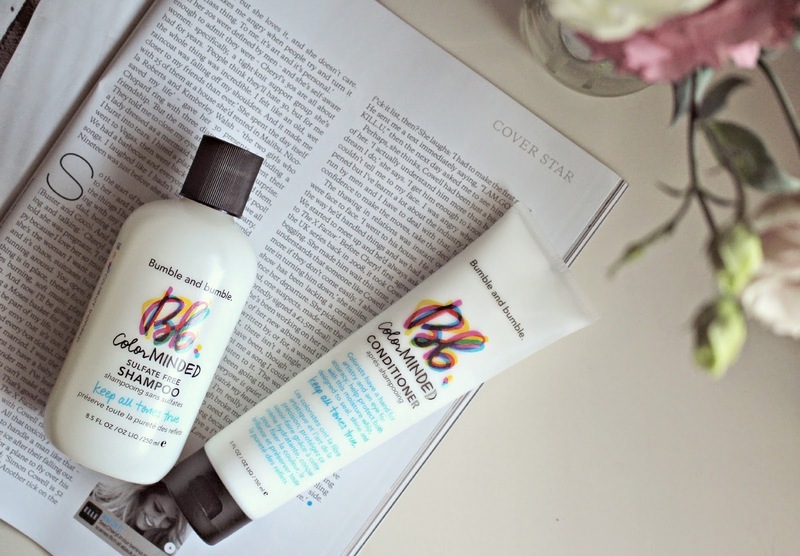 Bumble & Bumble is available from lots of great hair salons, but is usually cheaper online – try Escentual here where it’s currently £18.40 for the shampoo, and £20 for the conditioner.